Cold Bay is a city in Aleutians East Borough, Alaska, United States. 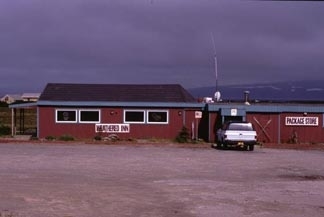 Cold Bay is one of the main commercial centers of the Alaska Peninsula, and is home to Cold Bay Airport. In later decades, control of the airfield passed to civil authorities who maintained it as a particularly useful location for fuelling and emergency landing needs on great Circle flights from the west coast of the U.S. to eastern Asia. A DEW line station was established nearby and eventually was decommissioned. Here's the our members favorite photos of "Cities in Alaska". Upload your photo of Cold Bay!